In this ALPSP guest blog, John Sack, Founding Director of HighWire Press shares how how Highwire are working with their user community to drive innovation. We help scientific and scholarly publishers stay ahead of research and education trends, adapt to changing user demands, and increase revenues across channels. HighWire continually invests in data science across all our products to offer integrated analytics and insights that drive digital innovation. The evolution of print and digital publishing is accelerating. Publishers work with us to bring innovative products and services to market faster and deliver the very best user experiences and business outcomes with our Intelligent Platform. Our customers tell us that the evidence we offer, via our Strategic Business Consultancy Services, transform conversations about content development and product strategy. Working together as a strategic business partner, our goals are to advance innovation and best practices, inform successful editorial and business decisions, and create great products and services and business outcomes. At HighWire Publishers’ meetings, our community shares analysis, insights, and practical advice to address the challenges they face as well as a future focus on strategies to keep ahead of the curve in the ever-changing publishing ecosystem. Conversations at our meetings focus on delivering what users want, improving workflows to attract readers and leading authors, and creating new revenue opportunities. You can watch brief video excerpts of presentations at recent meetings now available for the first time on our web site outlining specific achievements working collaboratively with HighWire. Joe Puskarz, Director, Division of Journal Publishing, American Academy of Pediatrics shares the strategic process, data insights, and success metrics around a dramatic change in AAP’s Pediatrics print strategy and online publication gateway to better serve readers and advertisers while improving profitability. See videos Optimizing a publications gateway with reader feedback and analytics and Pediatrics Print Strategy: User behavior drives product development. HighWire’s Intelligent Platform includes end-to-end publishing solutions from strategy to delivery. Machine intelligence and predictive analytics are applied across all our products to help understand user behavior patterns to attract target readers, authors, and advertisers and inform product development. Kim Murphy and Nandhini Kuntipuram from American College of Cardiology (ACC), describe their journey to develop customer personas, define product requirements and optimize the user experience, leading to the successful launch of ACC’s journals with JCore. Watch Using field research in UX to inform and measure website success. Don’t miss brief case studies on more recent journal launches with JCore. Our industry's need to improve workflows for efficiency regularly generates discussion and innovation. HighWire collaborates with publishers to develop and implement innovative approaches that support researchers who require faster times to publication while continuing to meet rigorous editorial and content management requirements. Stuart Taylor, Royal Society; Claire Rawlinson, BMJ; and Claire Moulton, Company of Biologists; each contributed a recent London session on “Emerging Trends in Academic Publishing." Issues and opportunities addressed included pre-print servers, post-publication changes designed for an online world, overlay journals, and post publication peer review. Publishers recently presented on a range of topics at our Fall Meeting in September, including our session on the “Bibliometric Intelligence” product pilot with Meta which illustrated the opportunities offered by predictive analytics. Read about past presentations by Valda Vinson, AAAS; Suzanne Rosenzweig, Society for Neuroscience; Keith Gigliello, American Society of Hematology; and an illustrated case study using Impact Vizor to compare article citation levels across disciplines within a journal and to other journals. Getting in touch with us is easier than ever! Click Talk to Us and connect with industry thought leaders and experts like John Sack regarding emerging trends you think should be addressed in our 2018 meetings. 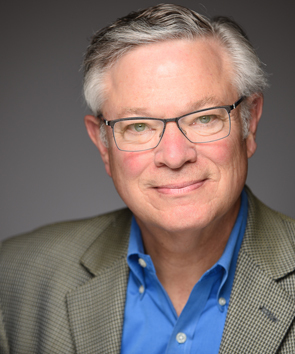 John Sack is the founding director of HighWire Press and focuses on market assessment, client relations, technology innovation, and the kind of thought leadership and industry-forward thinking that has helped defined the Company's mission since 1995. Highwire is a proud Silver Sponsor of the ALPSP 2017 Annual Conference.